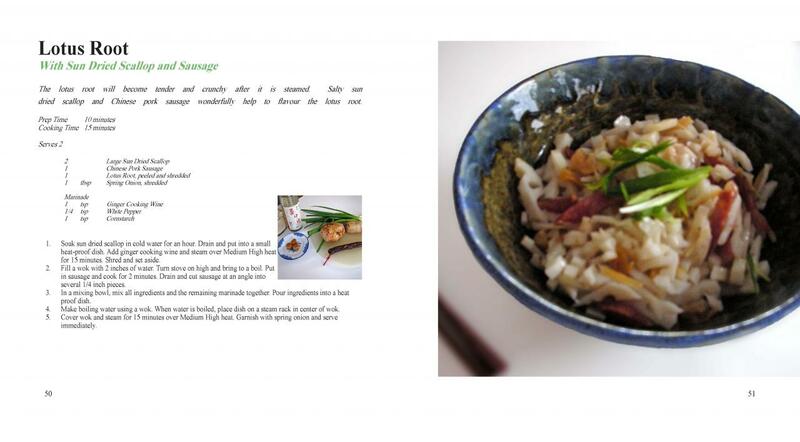 The following shows some examples of the steam cooking recipes that can be found in the Steam Cooking - Healthy Foods with Natural Taste cookbook. Click on an image to enlarge. 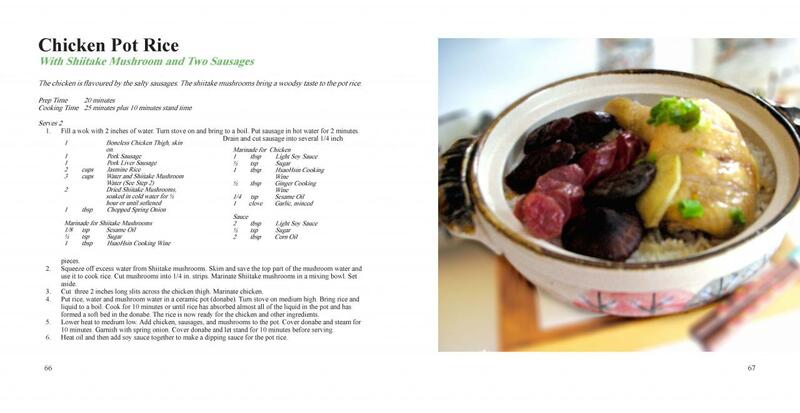 The above images are taken out from the Steam Cooking cookbook. 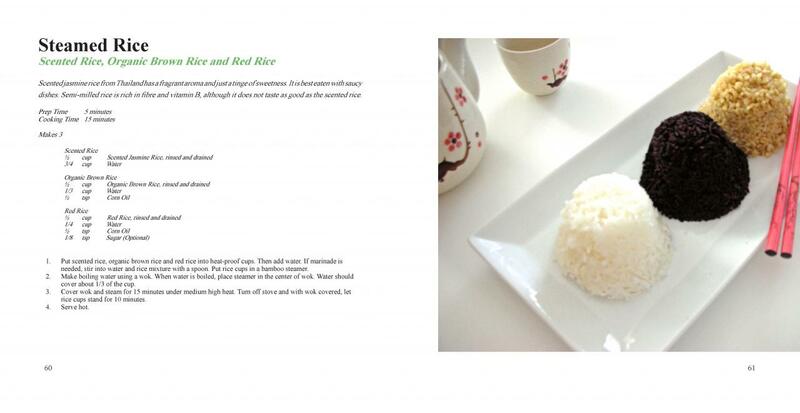 Each image shows both the recipe and a picture. For text only recipes please go to the Index page. 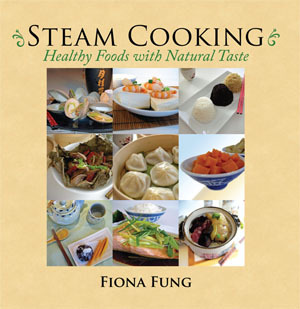 This 88-page book covers 27 family recipes for steam cooking meat, fish and vegetables. They are easy to follow and illustrated with full-colour photography. Buy cookbook.